Conventional financing through traditional lending institutions, such as commercial banks, Wall Street brokers and major insurance companies, is becoming very difficult to find. Banks and other conventional lenders have tightened their lending standards significantly and are caught up in the credit crunch. In many cases they can’t make a loan even when they want to.There is a very severe lack of liquidity in the major financial markets. One consequence of the banking crisis has been that more and more commercial real estate investors are turning to private, often called “hard money” lenders. Hard money commercial mortgage loans have become a primary source of funding for property owners, investors and developers all over the country. Borrowers are finding that private lenders are highly professional and very responsive. Private lenders can fund good deals very quickly, sometimes in just days, with less paperwork and documentation requirements. Hard money lenders tend to lend based on the equity in a property; private loans are not credit driven. Many private lenders are “portfolio lenders” who hold the mortgages they write in their own loan portfolios. They are not dependent on the secondary mortgage market and have not been paralyzed by the current problems in the banking system or the bond markets. Private lenders can be small but some are huge and have more cash-on-hand than many federally chartered banks. Often hedge funds and private equity firms act as hard money lenders, making loans against quality commercial property for the benefit of their investors. In some cases private lenders are wealthy individuals who are looking for higher returns on their funds than banks and government bonds can offer them. In most cases private commercial mortgages are short term loans that mature in 36 months or less. This makes private money ideal for use as bridge financing while a conventional, longer term loan can be lined up and closed. Banks are saying no more often than they are saying yes now-a-days. Even good projects and quality buildings are being turned down for financing due to the credit crisis. Rather than let a deal die, commercial real estate investors are taking advantage of private, hard money loan. The rates and points are higher but, unlike banks, Wall Street and the other big players, private lenders have money to loan. Private lenders make their own lending decisions and don’t have to consult with distant loan committees or worry about the bond markets. 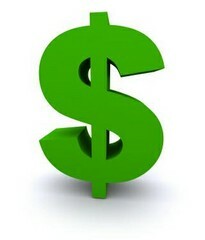 Hard money lenders are making deals and closing loans even in the midst of this very serious financial crisis. It is possible that in a year or two our credit problems will be behind us, but in the mean-time private lending may be an investor’s best chance to get a deal financed. MasterPlan Capital LLC – Commercial Mortgage Loans – Privately Funded – Equity Financing – Asset Management – Simple, 1 Page Commercial Mortgage Application – Quick Answers – Close in 10 Days – Glenn Fydenkevez is President of MasterPlan Capital, he has more than 20 years experience in the financial industry and has been a officer at one of the world’s largest investment banks. He uses his financial resources, banking contacts and extensive industry knowledge to finance commercial real estate deals quickly and efficiently. American Apartment Owners Association offers discounts on products and services for landlords related to your real estate investment including REAL ESTATE FORMS, tenant debt collection, tenant background checks, insurance and financing. Find out more at joinaaoa.